Anyone who has suffered from sciatica knows how painful and frustrating it can be. 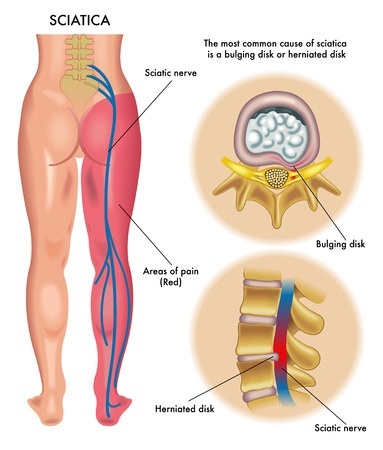 For those of you who don’t know what sciatica is, it’s a nerve-related condition that is caused by other problems within the body. It can cause pain, tingling, or numbness so bad that sometimes sciatica can be debilitating. Historically, professionals would recommend painkillers as a way to cope with sciatica. But thankfully for patients, many professionals are beginning to see that TENS units can help sciatica even more efficiently. Sciatica is named for the nerve it affects—that is, the sciatic nerve. The sciatic nerve is the longest and largest nerve in the human body. At its very thickest, it has a diameter similar to a finger. The sciatic nerve runs all the way from the lower back, down through the hips, the buttocks, and into the thighs. Then it passes through the knees where it branches off and ends in the feet. When one experiences sciatica, it might start off as a tingling anywhere along the buttock or upper thigh. This can then spread down the back of the thigh and go as far down to the toes, or as high as the lower back. In most cases, those with sciatica only experience the pain in one leg. The pain itself is caused by certain conditions that can lead to inflammation of the sciatic nerve. These conditions commonly include herniated discs or spinal stenosis. Once the nerve becomes inflamed, it sends pain signals to the brain, which is what causes the pain from sciatica. 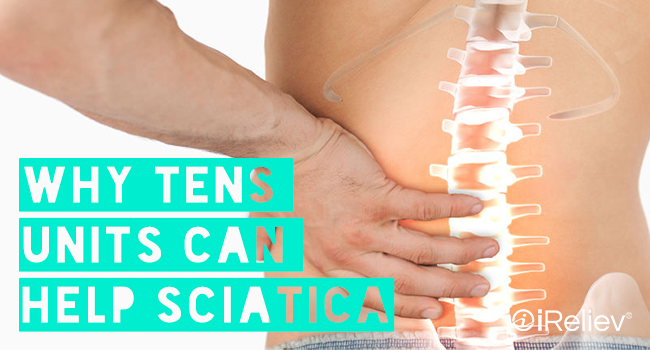 How Can TENS Help Sciatica? 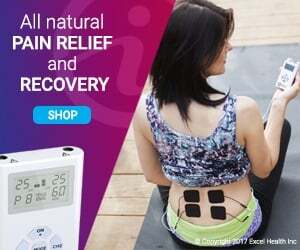 Since the main way in which a TENS unit works is by preventing pain signals from reaching the brain, it’s no wonder that TENS can help sciatica. In fact, there are several things about TENS that make it perfect for treating this condition. For one, a TENS unit is a noninvasive, natural, and safe solution to pain. Those who suffer from sciatica no longer have to depend on painkillers like opioids to find relief. TENS unit therapy is done with electrode pads that are applied onto the skin. These electrode pads send gentle impulses through the skin which, in turn, prevent pain signals from reaching the brain. Therein lies another reason why TENS units can help sciatica in a unique and efficient way. The electrode pads can be placed almost anywhere on the body. 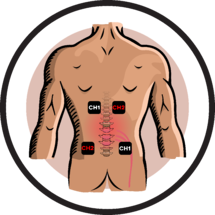 Multiple electrode pads let you spread the treatment further out while targeting several specific locations of pain. For instance, you might put two electrode pads on the lower back and two electrode pads on the upper thighs. Plus, some units, like those sold by iReliev, have dual channels so that you can adjust different strength levels between the different electrode pads. 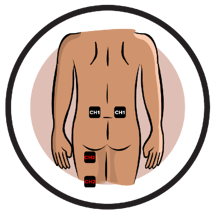 Thanks to this type of versatility, those with sciatica can use TENS units to create a custom treatment that is right for them. Most medical professionals today agree that TENS units are a very safe and effective way to treat sciatica-related pain. In the long run, however, it’s not just the pain that needs to be addressed, but also the sciatica itself. The best thing one can do for sciatica is to stay active and to exercise. But this can be nearly impossible in the most painful cases of sciatica. That’s why something like a TENS unit makes such a difference. TENS units can help sciatica not only by relieving the pain, but by making it possible for those who are suffering to make great strides towards healing and recovery.